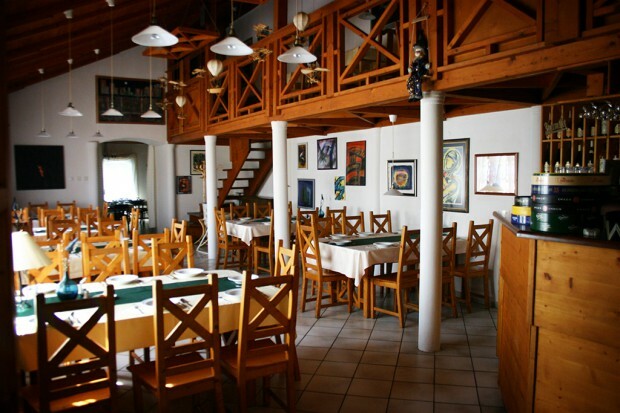 The V. András restaurant is located in the heart of Sárospatak, a small town in the north east of Hungary. The building was originally built in 1792 and renovated to its current condition in 1994. We have one bigger, 4 smaller rooms and a loft for our guests. The restaurant has a maximum capacity of 170 with an additional 60 people in the open air courtyard in summertime. Our cuisine is traditional Hungarian meat and fish dishes. Moreover we are capable to cater for tourist and student groups at a special price and to arrange special events like weddings, birthdays etc. If you have any questions, please contact us personally by phone: +36-309-763-927 or by e-mail otodikandras@otodikandras.hu.